Subha Mani is an Associate Professor of Economics and a Research Associate at the Center for International Policy Studies at Fordham University. 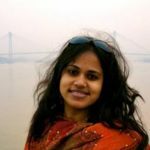 Subha also holds a Research Affiliate position at the Population Studies Center, University of Pennsylvania. She is also a Research Fellow at the Institute for the Study of Labor (IZA). Her areas of specialization are development economics, program evaluation, field experiments, applied econometrics, applied microeconomics, health, and education. Subha’s selected publications include Journal of Economic Behavior and Organization, Economic Development and Cultural Change, World Development, Oxford Bulletin of Economics and Statistics, Journal of Development Economics, Journal of Nutrition. Her scholarly work has also received external funding from the International Growth Center – India Central, 3ie (International Initiatives for Impact Evaluation), and Grand Challenges Canada.